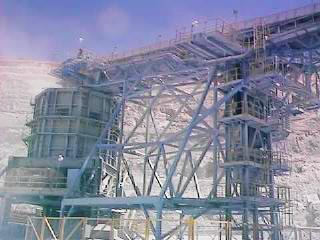 Find problems at the design stage not when you first start the conveyors. Minimize dust and material degradation. Minimize abrasion to the belt and chute. Keep your proprietary design techniques and ideas proprietary. You run the software in your own office. Run as many simulations as you desire. A very easy user interface lets you focus on the chute design and not the modeling.